Open Sourcing vs. Crowd Sourcing Products | Do You Know The Difference? One of my observations from attending ProductCamp PDX was that there was a very vague understanding of the differences between open source and crowd sourcing. Me, attempting not to jump up on chair at that point, said “I think you mean crowd source.” Blank stares ensued. Both take some time in building a community of users interested in your product and willing helping out with it. One is not exclusive of the other; open source products are crowd sourced, and crowd sourced projects can be open source. If a company is opening up a product for public input, then taking the feedback and incorporating it into their next product release for sale, it’s crowd sourcing. It’s crowd sourcing because the company is capitalizing on the feedback. Yes, a public contributor may get some incentive or cash for having their idea adopted; regardless, the end product remains under the company control. Should you release a product into the community, solicit help to improve it, then allow the public to use and modify the product for everyone’s benefit, then it’s open source. Some features or improvements may be crowd sourced amongst the community, however, the end results in improvements that everyone can have access to. Chris Grams has his opinions about why one trumps the other. In the discussion I described above, most of the attendees were employed by corporations and had been struggling with how to improve upon and gain traction with their products. Anything the public contributed would be fed back into supporting the profitability of the product, thusly crowd sourcing. I believe building communities is important regardless of your product approach. It’s a beneficial way to tap into the user base to discover how your product is being used and perceived, as well as to encourage users to talk about it among their personal networks. Those types of interactions can’t be bought. Just be aware of under what guise you’re asking the community to participate. Have you ever tried crowd sourcing a product? Has your community grown, shrunk or stalled? A friend of mine sent me the link over Product Camp Portland suggesting we go see what it’s about. There was no cost to attend, so sure, why not? My friend was sick on the day of the event, and since a room full of strangers should be seen as an opportunity, not a reason to hide under the couch, I braved it alone. I wasn’t looking for “how to be a better product manager” or debate why Scrum is the methodology of choice right now, but I am working on taking some developer toolsets my company has been coding and creating them into products, and thought there would be some good take aways from the day. Below are a few things that resonated. Who wouldn’t want to be more agile? Would you ever want your company described as rigid and static? Agile is one of terms being tossed around by many but understood by few in the corporate world. It’s a good guess from the group discussion I sat through, many of them are feeling the pain of “being an Agile organization”. As soon as this came up as a topic of discussion, I was in undivided listening mode (I happen to be running an open source based company). My overall perception was the participants thought open source was a good way to release a young product so others could jump in and help improve it. While I recognize many of these people did not come out of a technology background, I think they’d all benefit from taking a look at some successful open source projects to better understand what the opportunities and challenges are. I asked a product manager sitting behind me in the session what qualified the product he was working on as “open source”. He couldn’t give me a good explanation. I laughed out loud when I heard this. Many products escape, as opposed to being launched. Somehow the word about your product has gotten out to your customer base prior to whatever the launch plan was. Viral was what you wanted? That’s ok if it won’t impact your current product sales (ie; customers are holding off buying until “the new release” comes out) and/or the sales team has been updated. A noticeable dip in sales prior to a pending launch doesn’t help anyone. The last session of the day I sat through could’ve been subtitled “You and Your Skills”. There are a lot of you out there who are looking to grow skills and job titles within your corporations, but have no idea how. It’s time for companies to step uo or develop their mentoring programs. Sure this was a small slice of attendees, but it was easy to see they were all in some degree frustrated. 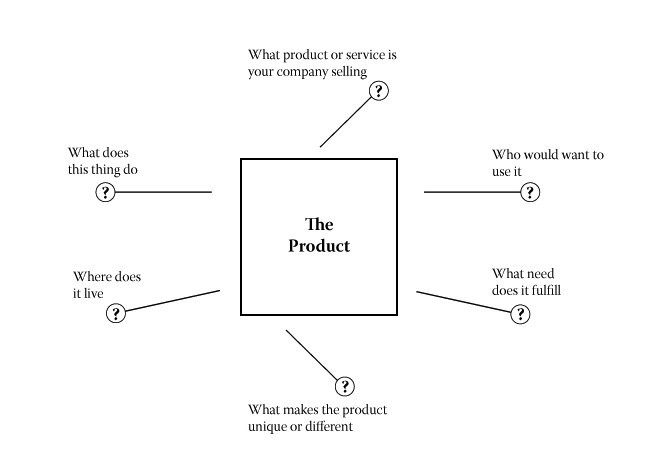 Here’s a whole group of people interested in challenging themselves in thinking about how to improve/extend your product and brand, why wouldn’t you help them? I tried to make a point of talking to as many people as possible in and out of the sessions. A lot of you told me you had your own ideas for products and the term “if I was going to launch my own product” was bandied about more than once. Perhaps next year there should be a separate product start-up/incubator track allowing attendees interested to explore what it would take to turn their ideas into reality. Overall I thought it was a worthwhile day, and have been trying to connect with people I met via LinkedIn. I would return next year maybe even with a session suggestion. Oh, and the high school where the event was held, still looks and smells, like high school. I would never use the term “bright and airy” to describe my own high school; (“dented and graffiti filled” would suit better). However take away the computers on teacher’s desk and it could be the 1980’s all over again. Where you there? What did you think of the day?